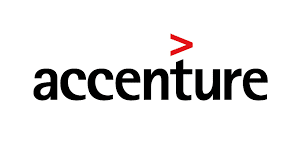 Accenture Hiring Any Graduate, Any Post Graduate freshers 2016 for Utilities Process Executive Custom at Bangalore. Candidates who have completed Any Graduate, Any Post Graduate can apply for this job from Accenture. 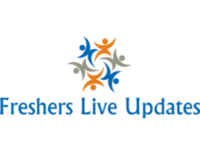 Candidates can Get the Utilities Process Executive Custom Post details such as Post name, Number of vacancy, Qualification, Job Description, Candidate Profile, Company Profile and etc., from the table given below. Contribute to the teams success. Meet and exceed the targets set on a daily basis. Ensure that the assigned work is completed within the deadline. Ensure that the work is completed with expected quality. Provide/ Suggest process improvement ideas. Work with the team to achieve the goal. Adhering to Accenture Policy and Procedures. Request Team Lead for any training requirements. Active participation in Team huddles/ Team Activities. Proactively take initiatives for the team. Any other ad-hoc responsibility given by the team lead. Accenture is a leading global professional services company, providing a broad range of services and solutions in strategy, consulting, digital, technology and operations. Combining unmatched experience and specialized skills across more than 40 industries and all business functionsunderpinned by the worlds largest delivery networkAccenture works at the intersection of business and technology to help clients improve their performance and create sustainable value for their stakeholders. With approximately 373,000 people serving clients in more than 120 countries, Accenture drives innovation to improve the way the world works and lives.